Bernard was born c.1883 in Longford. Prior the outbreak of war, Pte. 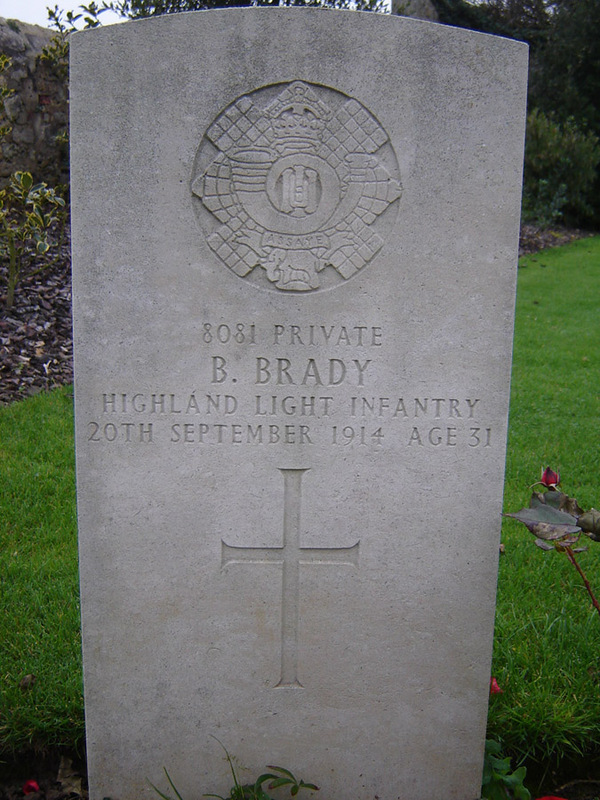 Brady in Hamilton, Lanarkshire, Scotland with the 2nd Highland Light Infantry. They were based in Aldershot at the outbreak of the war, and were deployed to Boulogne on the 14 August 1914, arriving at the front on the 27 August that year. He was killed in action as a result of heavy German shelling, one of seventy NCOs and other ranks killed from the regiment.